Analog video is a video signal represented by one or more analog signals. 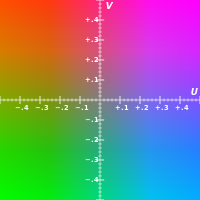 Analog color video signals include luminance, brightness (Y) and chrominance (C). When combined into one channel, as is the case, among others with NTSC, PAL and SECAM it is known as composite video. Analog video may be carried in separate channels, as in two channel S-Video (YC) and multi-channel component video formats. This page was last edited on 18 April 2019, at 13:23 (UTC).